Window Cleaning is time consuming, difficult, and dangerous. Are you tired of climbing ladders, hanging out of windows, fighting streaks and smears? Let us do it for you! We offer you our professional window cleaning services so you can do the things you’d rather be doing. This is our most-requested service. We wash every window in your home, inside and out, with a complimentary wipe down of your windowsills and screens. As always, if there are specific windows (such as basement or garage windows) that you don’t want cleaned, we are happy to customize this service to meet your needs. This service is often used by people who have full-house window cleaning earlier in the year, but just need the outsides touched up. This service is also great if you prefer to clean the insides of your windows yourself, but need a professional to get hard-to-reach outside windows. 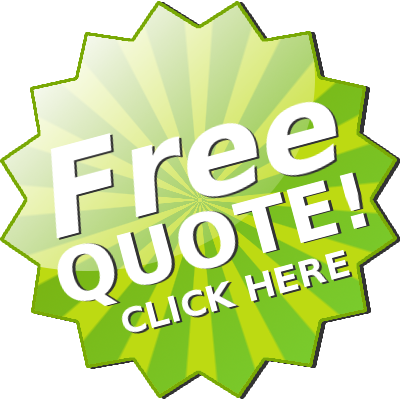 If you are not 100% satisfied with our services we will work until you are! You look out your windows every day so we want to make sure they are cleaned to your satisfaction. First, we remove the screens and wet and scrub the window with a soapy sponge. Then we use a scraper to remove all of the grime…this is what really gets your windows clean! (We skip this step on tinted windows to prevent scratching the tinting. See our FAQs page for more information). We wet and scrub the window again. Then we use a squeegee to remove the water and soap. When the window is clean, we stop any potential dripping by wiping the edges and window sills so that there is no leftover water in the corners. Lastly we clean the screens…either a wipe down (included in a basic wash) or a scrub with soap and water (for an extra charge) and put the screens back. The best way to see how much it would cost for us to clean your windows is to have us come out and give you an accurate estimate. We typically like to schedule a time when we can come to your home, give you an estimate, and then if you’re happy with it, clean your windows right then. If you want to calculate a rough estimate for interior and exterior cleaning, you should figure $4 per windowpane. Some windows cost more (e.g. storm windows, sliding glass doors, etc.) and some cost less (e.g. French panes). As always, if a competitor can beat our price we will gladly match it! Simply show us the other company’s bid receipt and we will be happy to match their price. A few rain storms or snow will generally not greatly affect the cleanliness of your windows after a cleaning. Windows tend to get dirtier during prolonged rain when the air is full of dust or when rain hits the ground and splashes mud onto your windows. In Colorado, it can snow six inches in the morning and be melted and sunny by the afternoon. Because Colorado weather is so unpredictable, we typically wait until a few hours before your window cleaning is scheduled to assess the weather conditions. If the weather is not suitable for window cleaning at the time your cleaning is scheduled, we are happy to reschedule your cleaning (usually within a few days). We do not clean the outside of your windows while it is actively raining (or snowing). However, we may arrange with you to clean the insides while it is raining and finish the outside once the rain has stopped. We work all year round as long as the temperature is above freezing and your roof and the ground are fairly free of snow (to protect the safety of our employees). We get up close and personal with your windows as we are cleaning them. If we see damaged screens or blinds, hard water stains, broken seals, or fogging between panes, we will alert you to these issues that you might not notice otherwise. We are also happy to give you some ideas about how to fix these problems and better maintain your windows. How often you get your windows cleaned depends on how clean you like your windows! You know your home best and how dirty your windows get month to month. 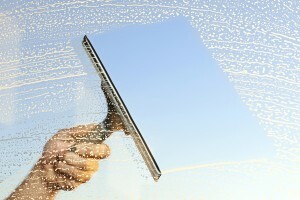 If you live in a suburb where your house is protected, you may only need your windows cleaned once or twice a year. If you live near a lake or in a dusty field, or have small children or dogs who leave fingerprints or wet nose marks on your windows, you may want to get your windows cleaned three or more times every year. Most of my customers clean their windows once or twice a year, but I also have customers who clean their windows six times a year! It’s totally up to you. Hard water stains form when mineral-carrying water is splashed onto a window. Continual deposits from a sprinkler on a window with full exposure to the sun. Constant splashing of tap water onto kitchen or bathroom windows (if you have hard water from a well or if your town’s water source is hard water). Prevent hard water stains on exterior windows by ensuring that your sprinkler does not splash your windows. For interior windows, frequently wipe down bathroom or kitchen windows with a mixture of 50% water and 50% white vinegar or lemon juice. A foggy window is the result of a broken seal. Unfortunately, the only way to fix it is by replacing the window. For more information on what a broken seal is and what to look for when replacing a window with a broken seal, read this article.